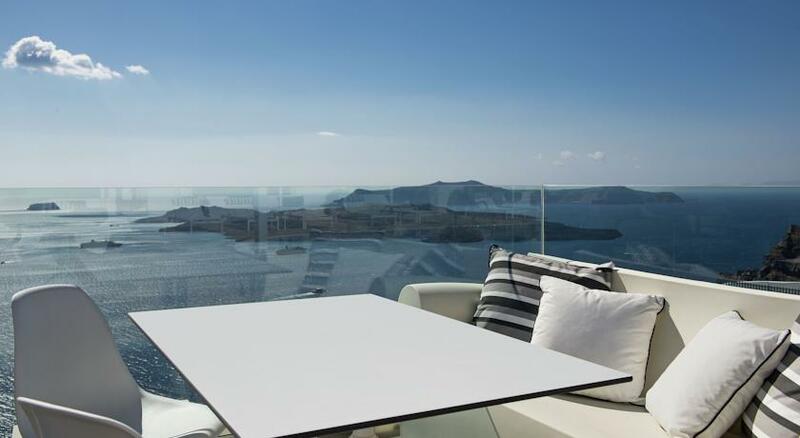 The Lilium Santorini Villa hangs magnificently on the edge of the caldera; 2.5 km from Fira, invites its guests to experience moments of pure luxury. 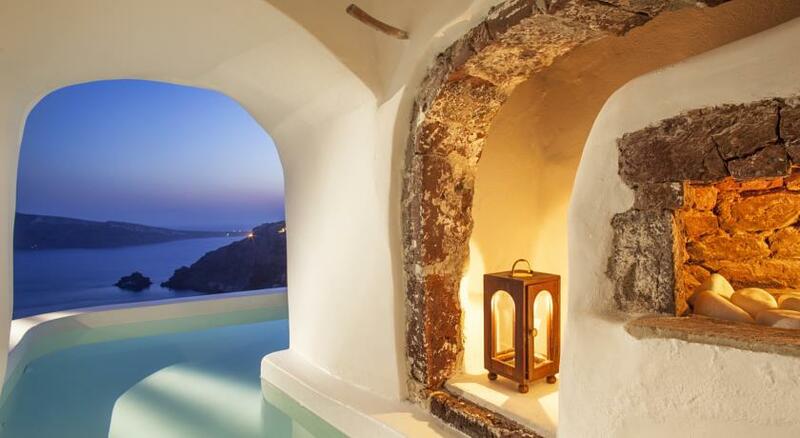 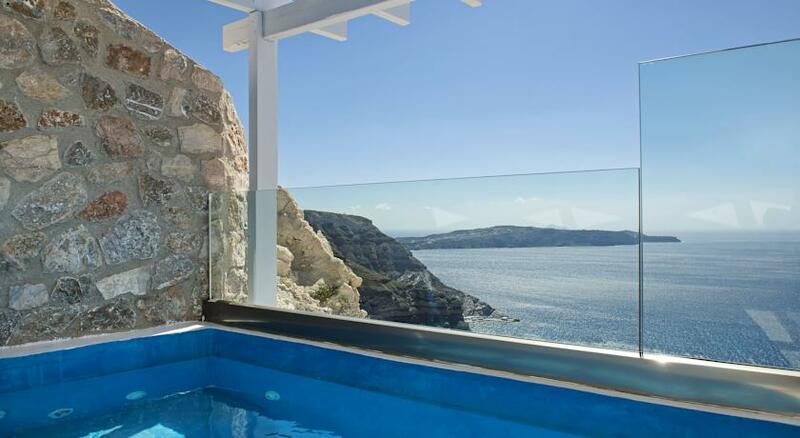 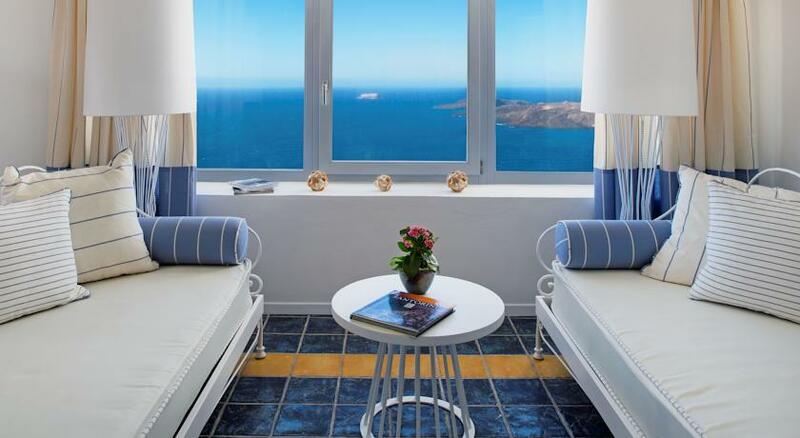 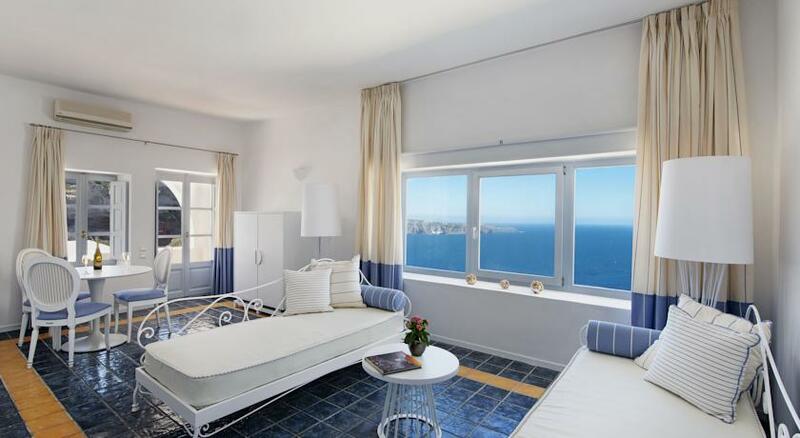 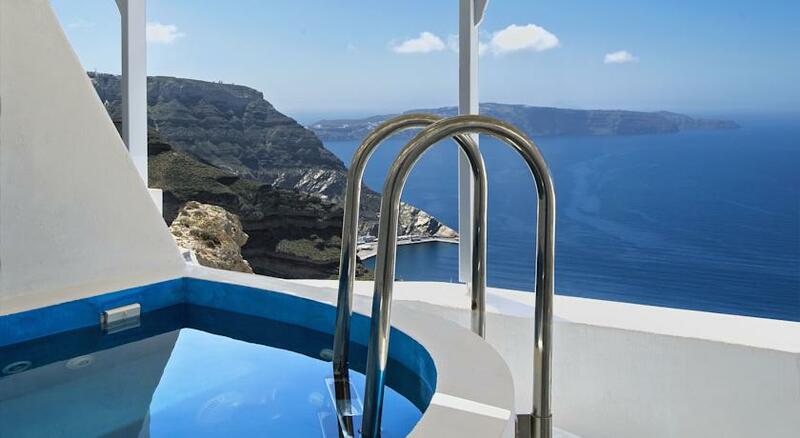 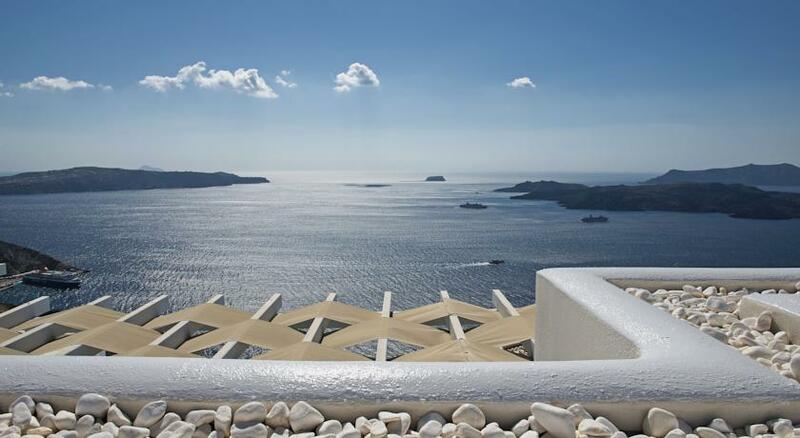 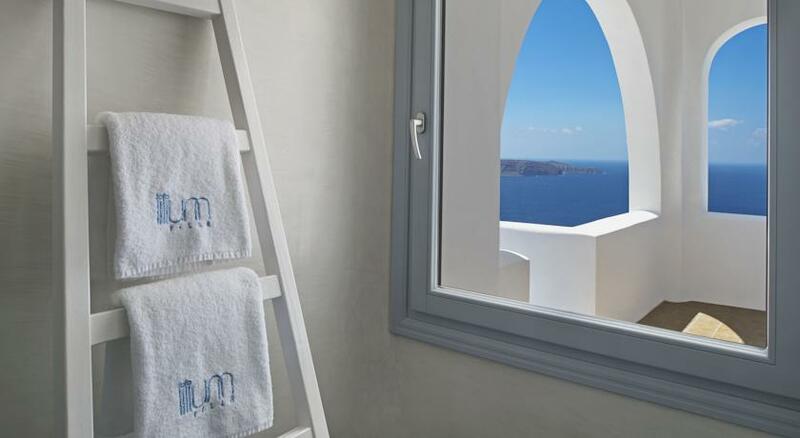 Above the blue seas of the Aegean: with a view of the volcano and the sunset… With renewed attention to decoration, using shades of white, and incorporating details from the amazing beauty of Santorini island…Situated along the rim of the Caldera, Lilium Villa offers a pool with hydromassage facilities. 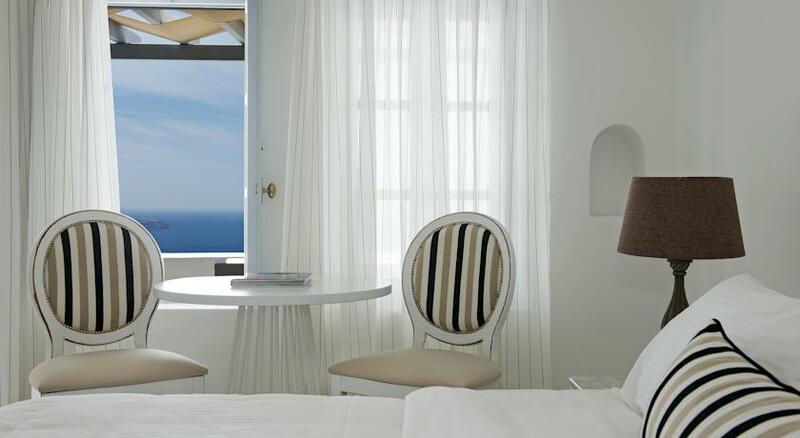 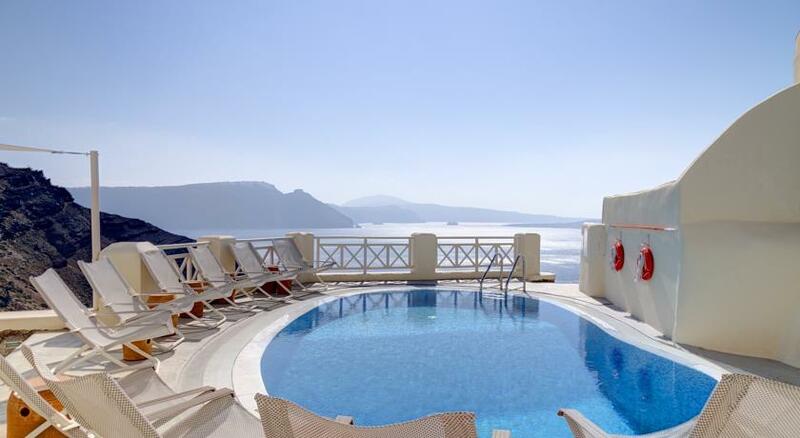 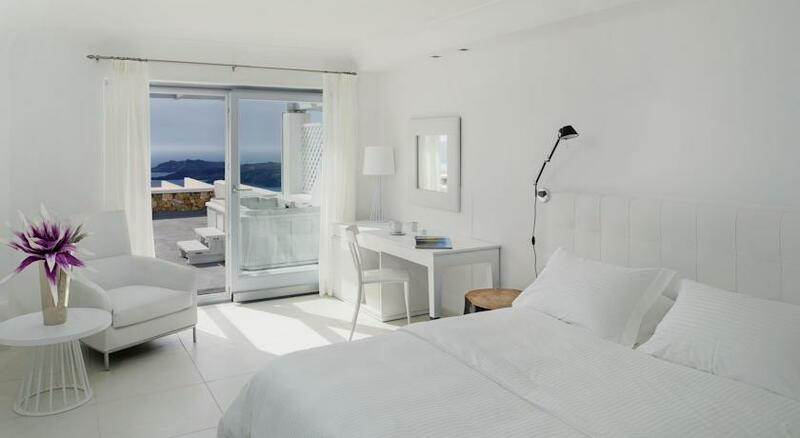 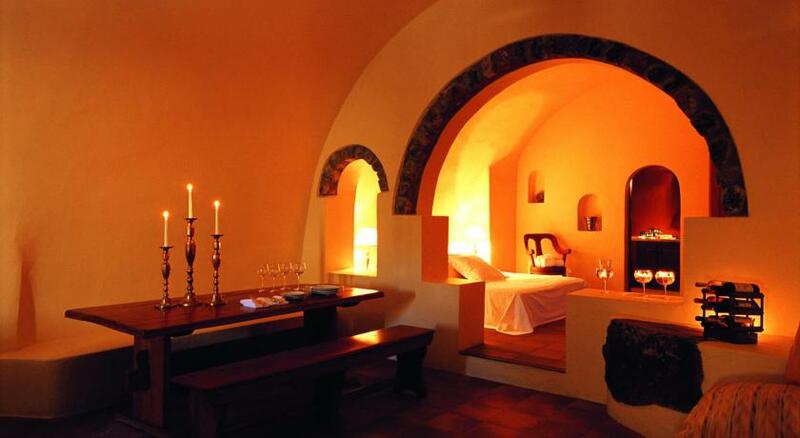 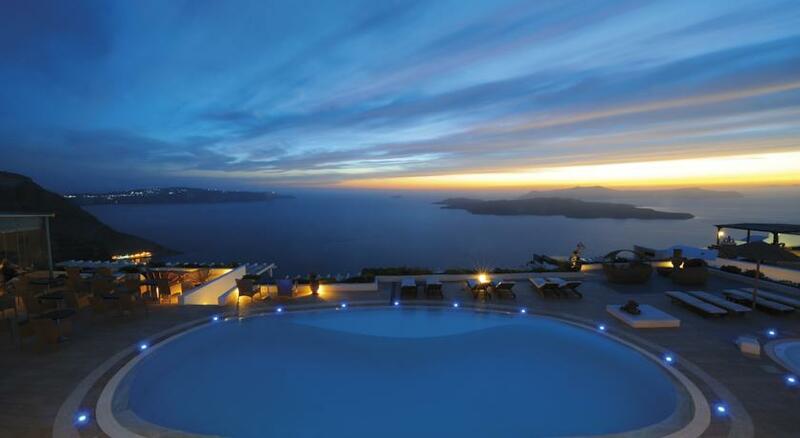 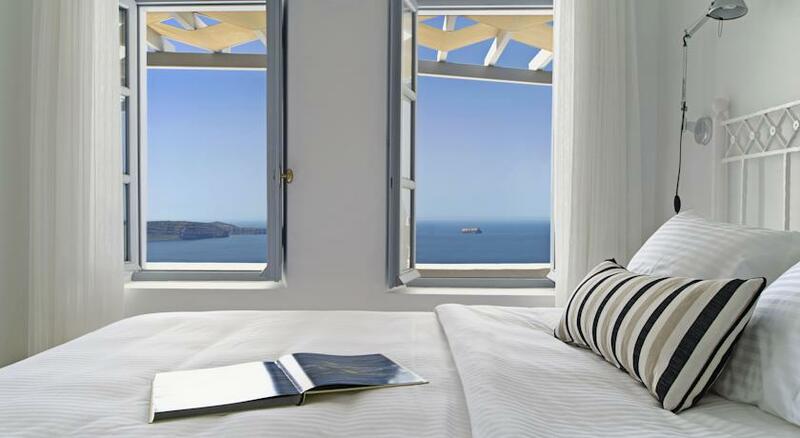 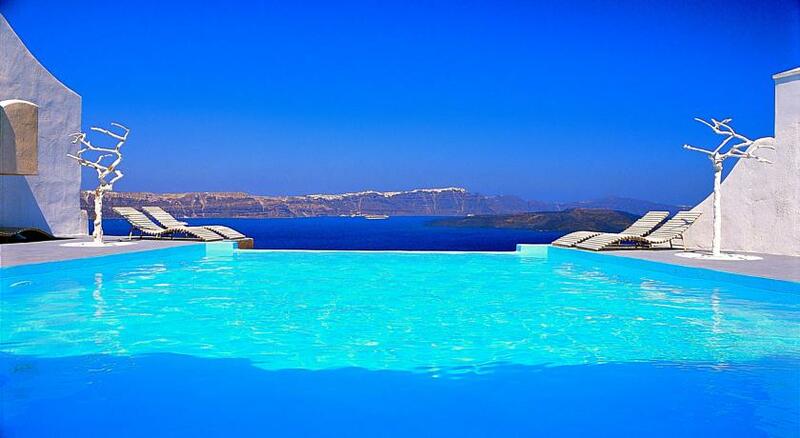 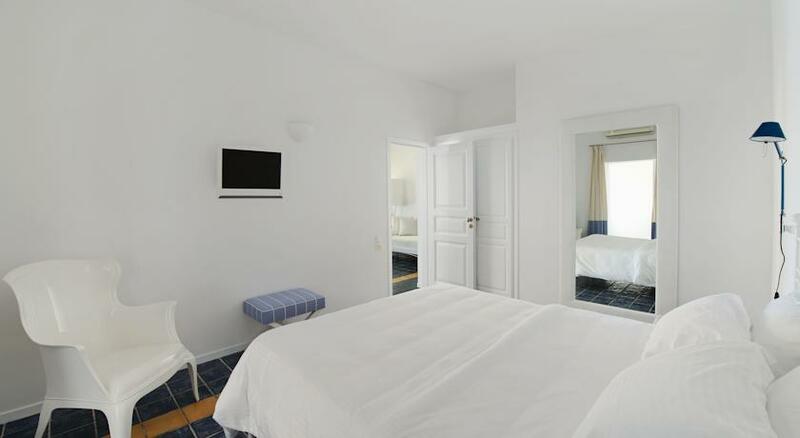 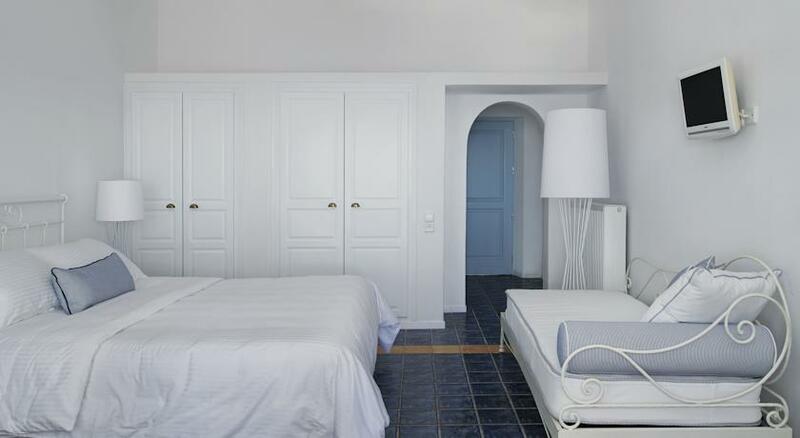 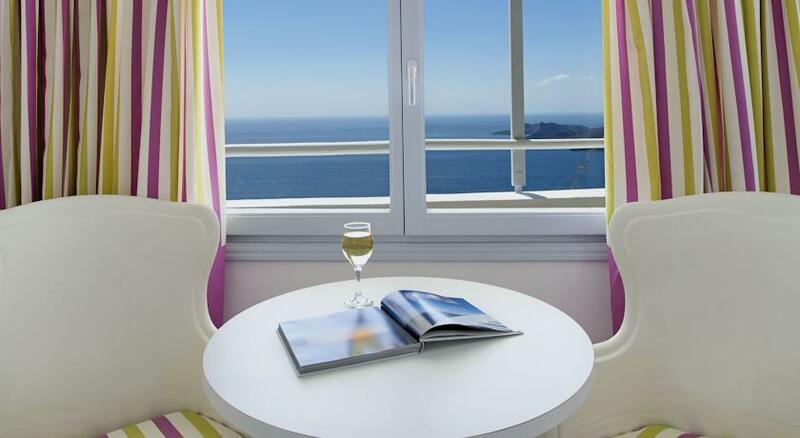 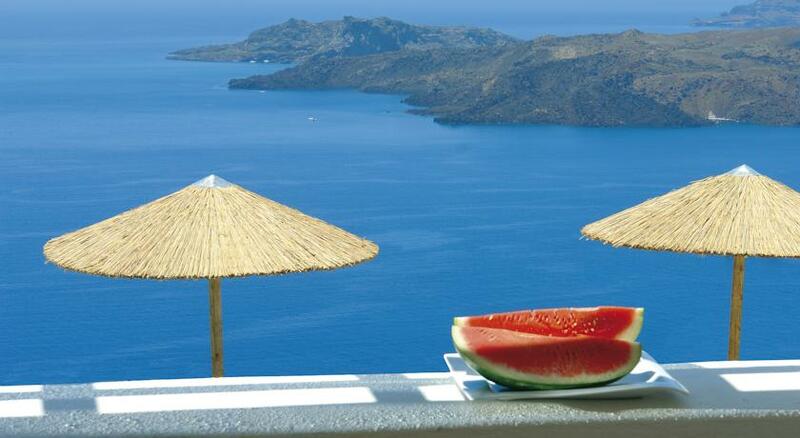 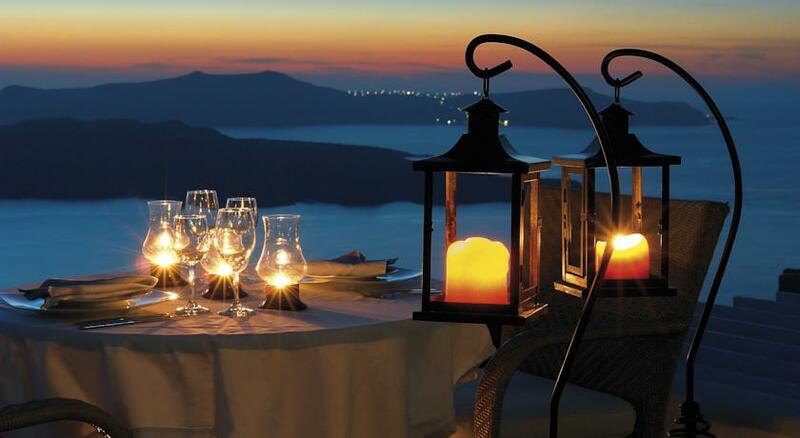 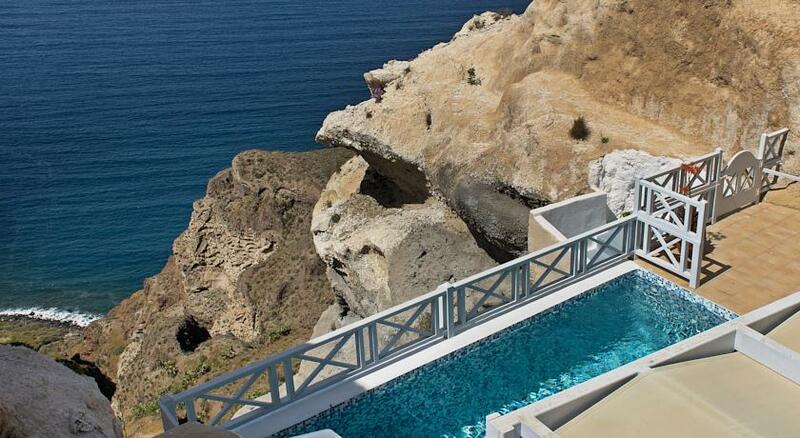 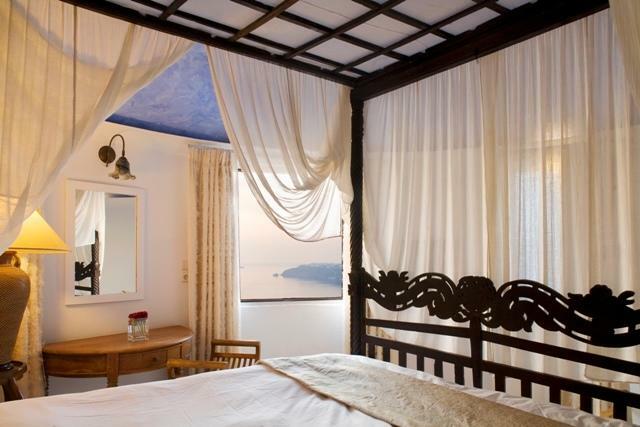 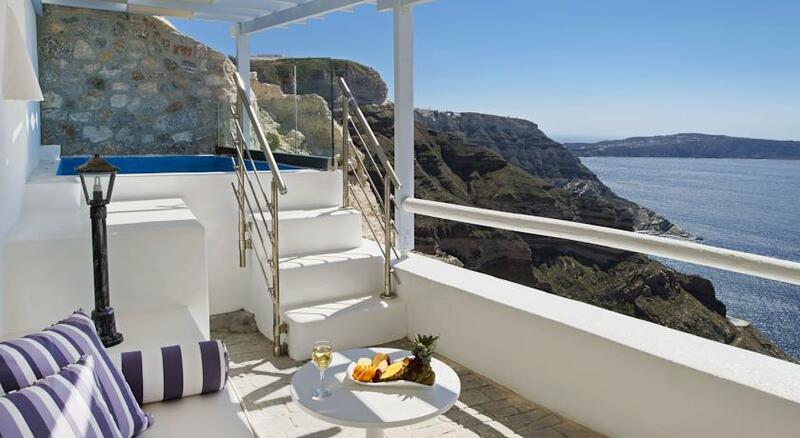 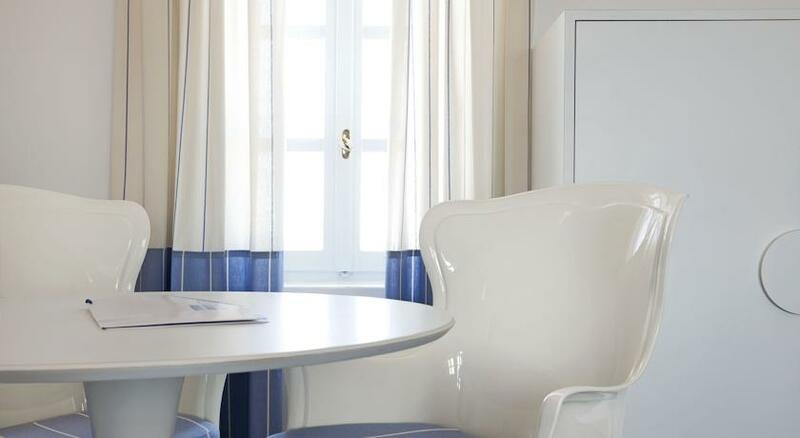 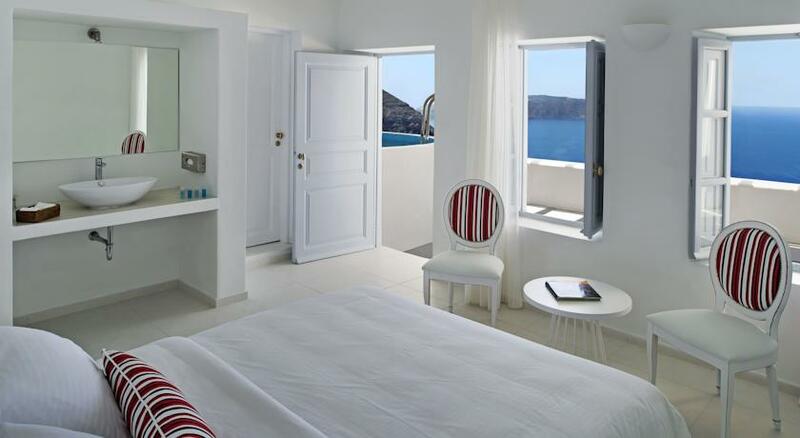 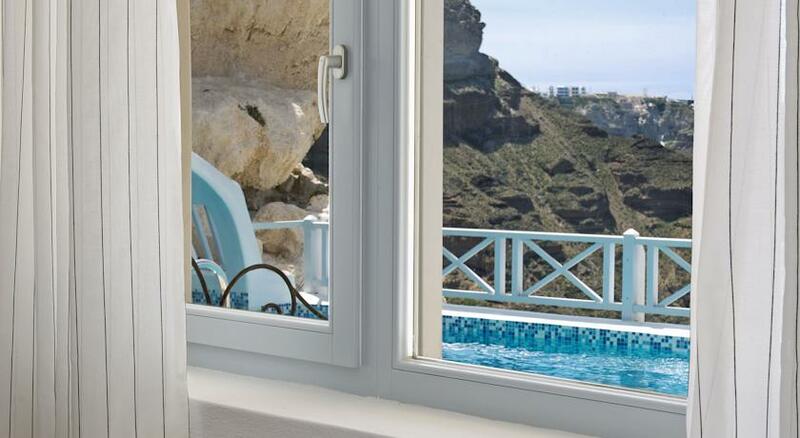 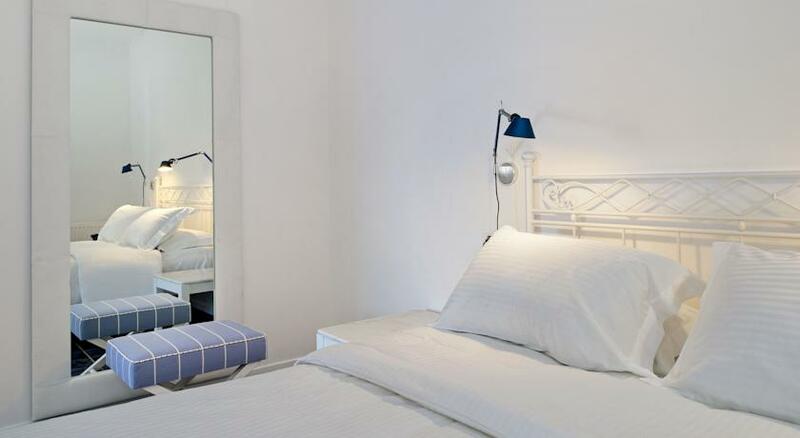 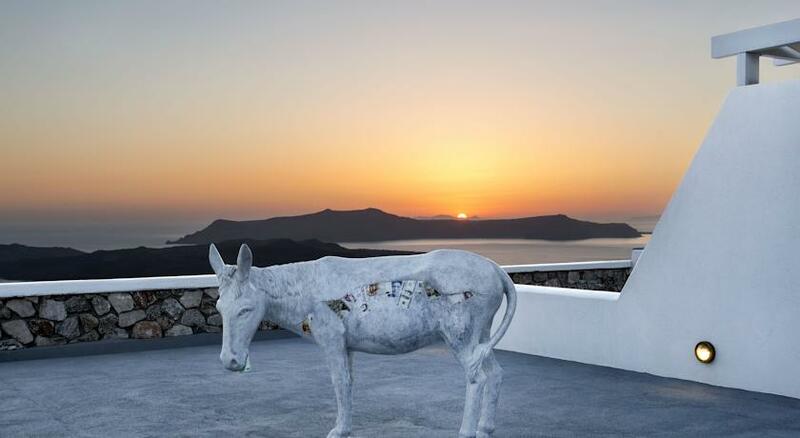 Rooms overlook the Aegean Sea and the volcano, and Wi-Fi is complimentary in the entire hotel. 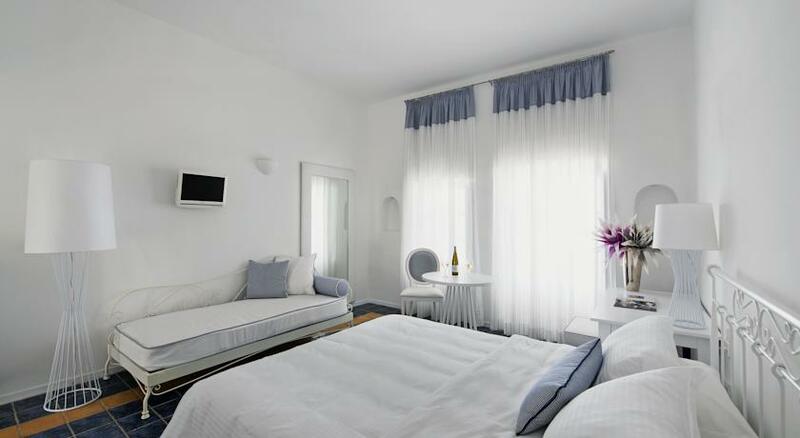 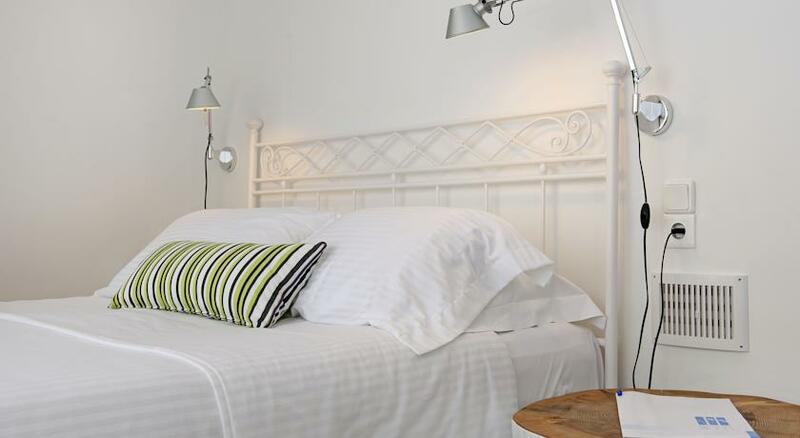 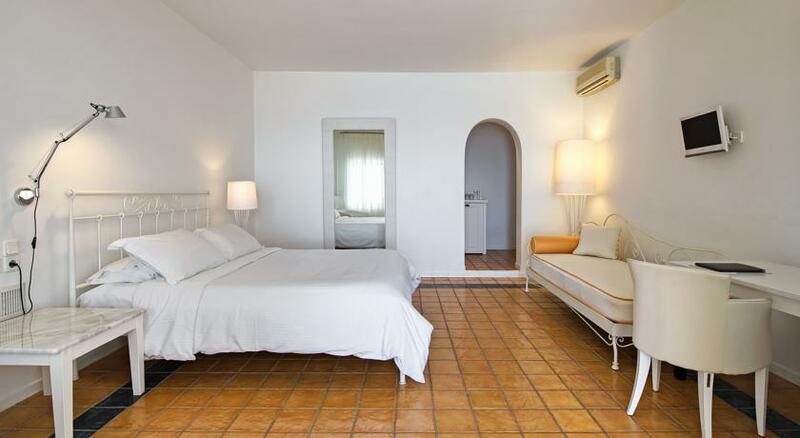 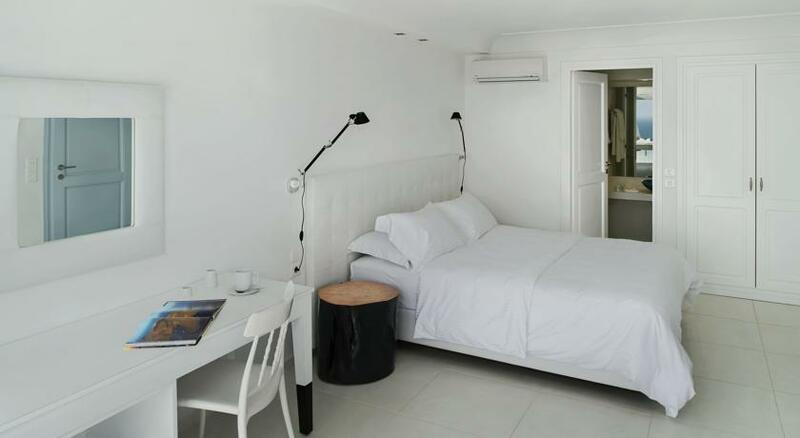 Each renovated and elegantly furnished unit is air conditioned, and features a satellite TV and a minibar. 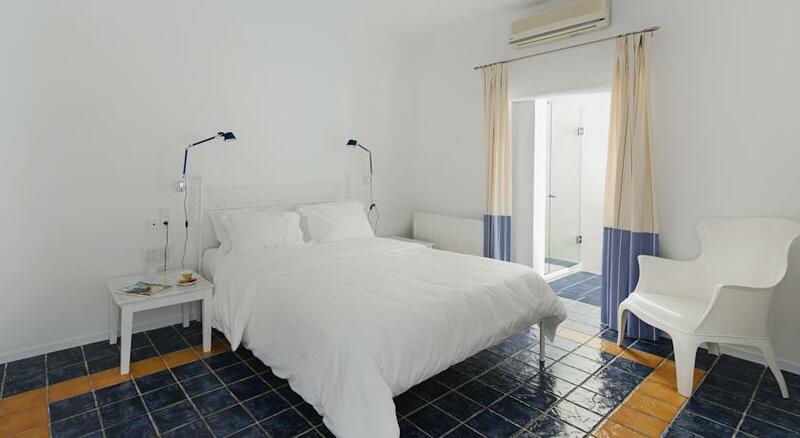 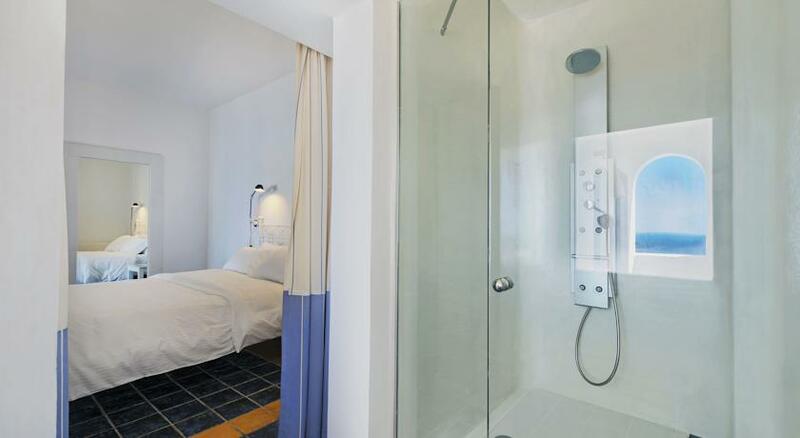 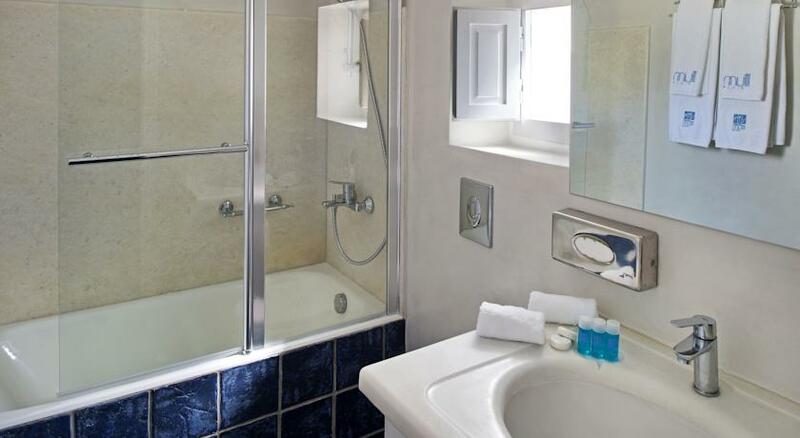 They all come with private bathroom with bathtub and hairdryer.The restaurant serves creative Mediterranean dishes, prepared with fresh ingredients and carefully presented by the hotel’s chef. 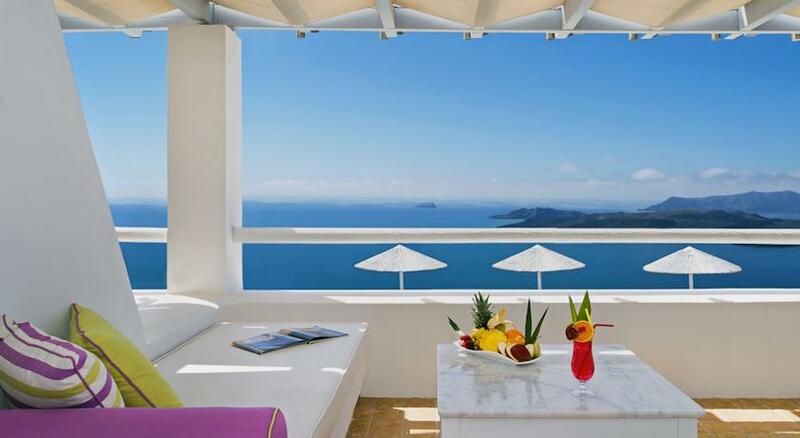 The bar serves exotic cocktails by the poolside. 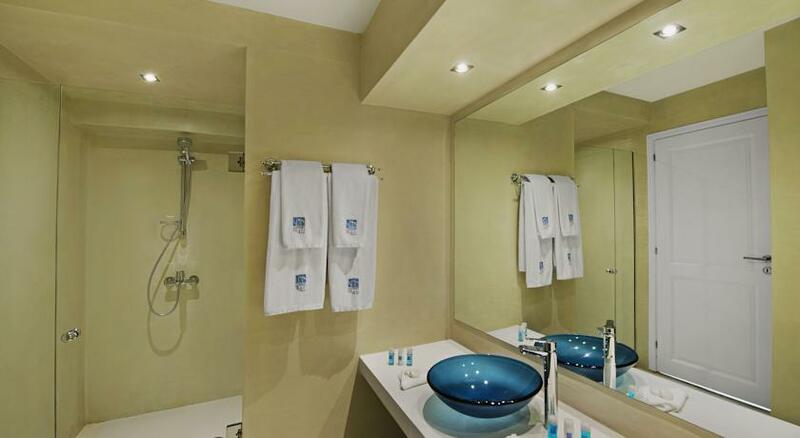 The hotel spa offers an extensive range of massages and face treatments. 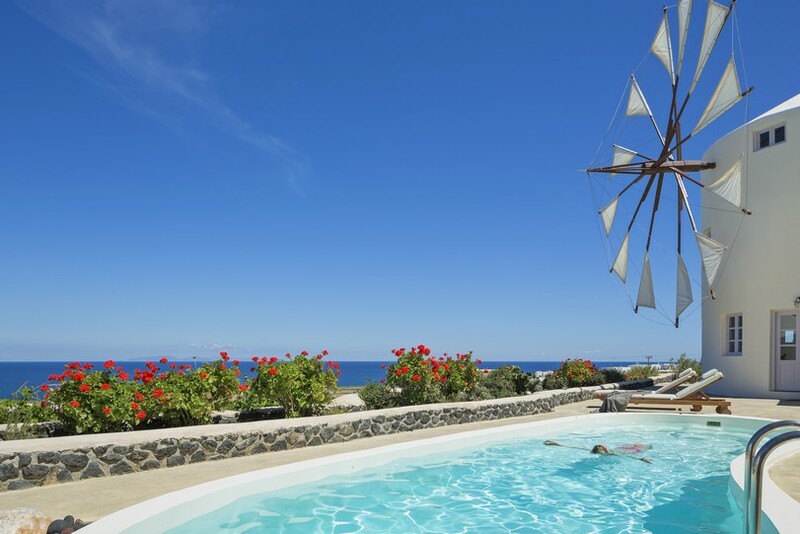 The outdoor pool with its stunning sea views provides every opportunity for rejuvenation.The Lilium Villa is only a 5-minute drive from Fira. 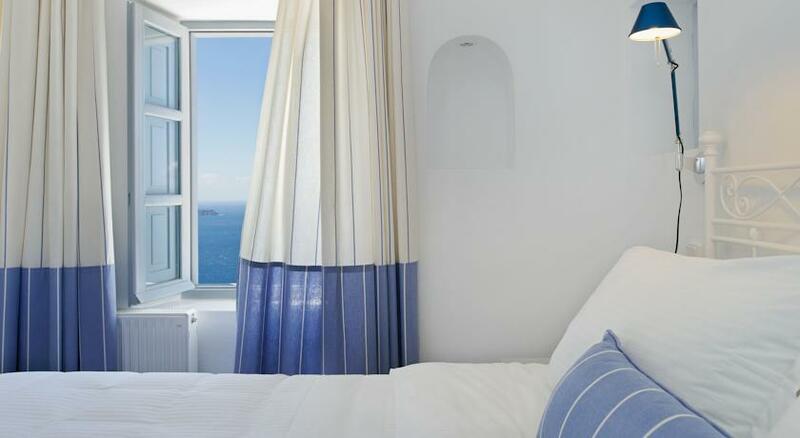 The hotel provides free shuttle services to Fira, and will provide a private transfer for a small fee. 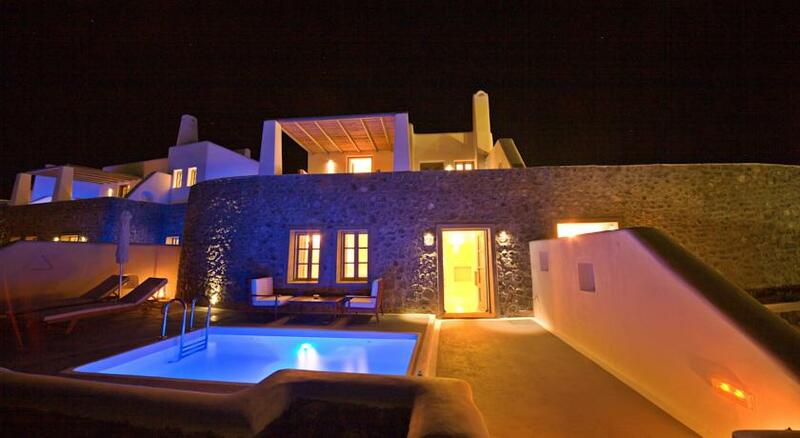 Car rental can be arranged at the reception.